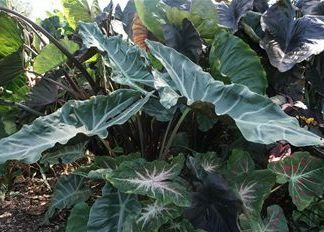 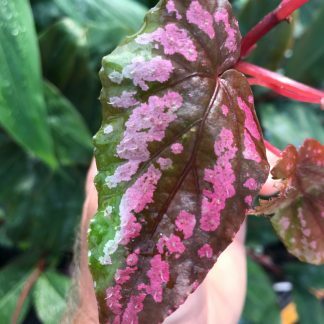 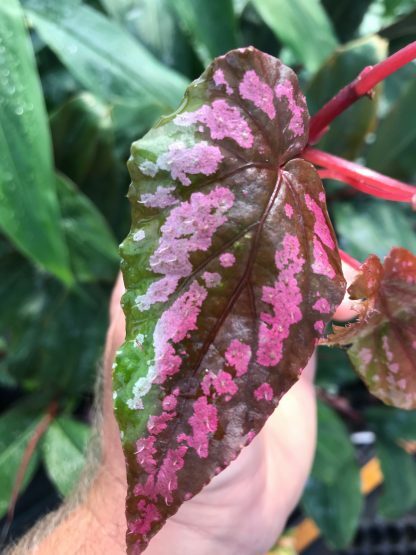 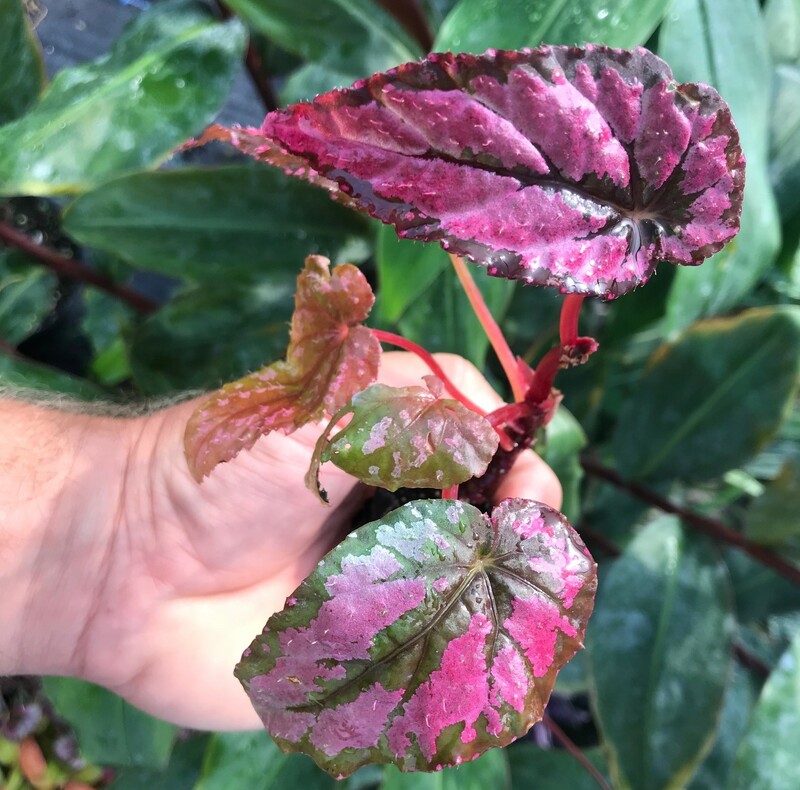 A beautiful cane begonia with beautiful plum coloured leaves with accents of silver and silver spots on the dark green and black margins. 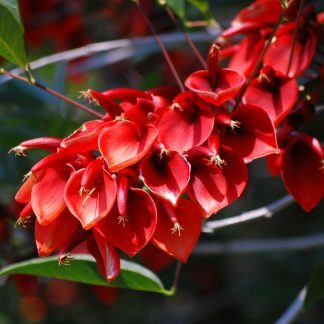 Single pink flowers in late summer. 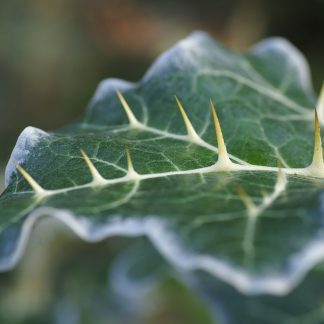 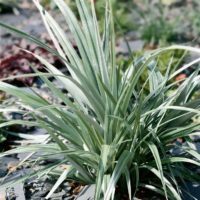 Better suited as a houseplant.